My Sunday, March 11 New York Times (arrived at home before we came back from our trip to Mérida) had a most interesting Special Section. It is called Overlooked – Revisiting 167 years of New York Times history to provide obituaries to women who never got them. The first one immediately appealed to me because it was about photographer Diane Arbus (March 14, 1923 – July 26, 1971). 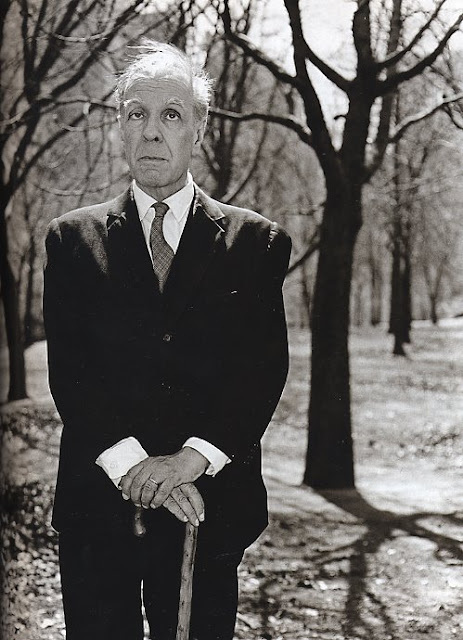 One of the reasons I have admired Arbus is that she took the best photograph (my opinion) of Jorge Luís Borges. She snapped it in NY’s Central Park. I have had some info about her all wrong. I have told many of my friends that Arbus had a gallery opening of her work on a Friday. She woke up Saturday. The world had not changed and she was depressed. She slit her wrists in a warm tub bath and died. Not quite true, I have found out. With Google the Friday became a Monday and the Times adds that she first consumed barbiturates before slashing her wrists. This is important because I went further (my invention) than Arbus (not suicidal inclinations) by getting depressed right after hanging a show. I call that pre-opening-blues. Some years ago I went to a show at the Vancouver Fringe Festival that had a most interesting play about Diane Arbus. Arbus was played by my friend Jill Daum. I have not been able to find a record of that play anywhere. I saw it and I loved it. The NY Times is going to keep at it and today they published this one on Ada Lovelace.